Living in the Midwest has a way of instilling habits of more work and less play. While this is great for saving money for reliable vehicles, mortgages, and retirement, it’s not an efficient way to relax or partake in the more colorful aspects of life. For this I typically rely on daydreaming about the next trip, the next mountain, the next indulgence in discomfort. Blogs, magazines, and podcasts are my preferred inspirational crutch when my imagination is having a slow day. 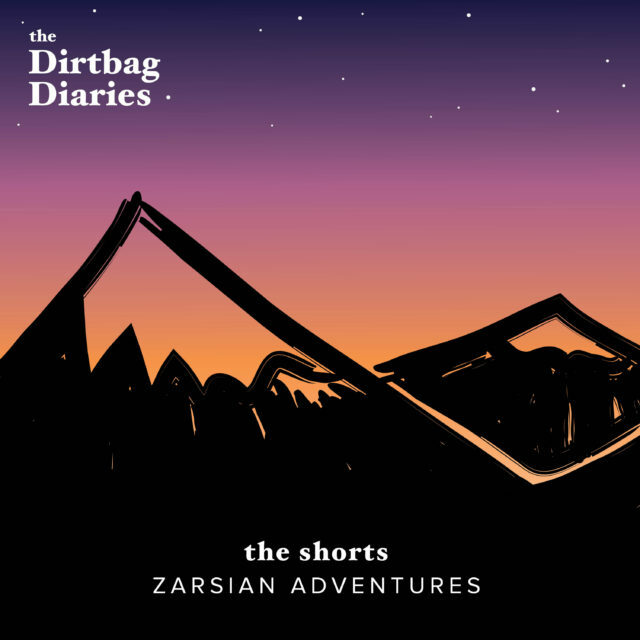 Dirtbag Diaries– This podcast is sponsored by the outdoor clothing company, Patagonia. They do a wonderful job of representing a wide range of outdoor pursuits in their time managed episodes. The stories shared come from all over the world and have an equitable number of male and female protagonists, which in the outdoor industry isn’t always the case. Outside Podcast– A production of Outside Magazine, this podcast explores the outdoors from the point of view of professional athletes, weekend warriors, and everyone in between. Some of my most hairbrained ideas for getting out and active have come from the hours spent listening to this podcast. Myths and Legends/Fictional- Jason Weiser does a phenomenal job of retelling both popular and obscure myths, legends, and now in his most recent podcast, classic literature, in a way that is entertaining and easy to understand. Whether driving cross country or putting some hours on the bike, this is a refreshing form of stimulation. Honestly this may be my favorite podcast on this list. How I Built This with Guy Raz– A podcast from NPR that shares the stories of entrepreneurs of many calibers and the businesses they created. I love listening and dreaming about one day owning my own company, making my own hours, and earning enough money to fund the shenanigans and travel that I would like to be doing now. I do listen to several other podcasts and am sure to make additions to this list of favorites in the near future. Now for the reading materials. Adventure Journal– Though newer to the outdoor print publication scene this quarterly magazine packs a lot of adventure into a small package. Every article I’ve read seems to be timely and well researched. These guys obviously have a huge passion for everything outdoors and promote the lifestyle as well as sustainable outdoor policies. Well worth the read in my opinion. Bikepacking.com– A fantastic source of inspiration as well as a plethora of information about bikepacking routes the world over. Some of the tracks are fairly obscure and others are quite popular. The cool thing- they’re all well researched and tracked via gps. This means you can download the tracks and replicate the trip or use it as a reference to help you plan a trip of your own. Along with the navigation help there are gear reviews and trip reports that stoke the imagination and, at least for me, tender some seriously hairbrained ideas for traveling by bike. Outside Magazine– A monthly print that is in its 41st year of publication and has become the standard bearer for outdoor news and entertainment. Though it is chock full of advertisements the quality of journalism more than makes up for all the airbrushed photos of scantily clad pro athletes promoting chocolate milk or some $600 Down Jacket that will not only keep you warm and dry but also make you breakfast in the morning (breakfast ends promptly at 9am so be sure to rise early). This magazine and its corresponding website also have great fitness and nutrition tips, gear reviews, and write ups on an endless amount of destinations sure to supply an adventure of some sort. National Geographic– Can’t say enough about this publication and organization. Continuously is print since its first issue in 1888, it has explored all corners of the globe and written about them in astonishing detail. The photography of National Geographic is among the best in the world. One of my favorite projects of theirs to read about and follow is Paul Salopek’s ‘Out of Eden’ walk (read about it here). Starting in the Rift Valley in eastern Africa and ending in Tierra del Fuego, the walk will be approximately 21 thousand miles in length and is projected to take about seven years. Again, this is an incomplete list, and many will be added in time. I find inspiration in these audio, print, and online sources but my favorite source is from people I interact with where I live and where I travel. Friends and strangers alike, sharing their stories and pushing me to make more of my own is part of what makes the outdoor and travel community so special. To put aside differences and enjoy seeking the next horizon is what its all about.